Already an established leader in the field of circular economy, geographer Zhang Zilong has helped Gansu Province in north-western China become the nation's first official model for circular economy acceleration. China's rapid industrialisation has come at a high price – resource depletion, environmental pollution and major ecosystem degradation. To turn this trend around, China has launched a green growth initiative. Green Talents winner Zhang Zilong, a lecturer in Circular Economy at Lanzhou University, is part of the process, helping China's north-western Gansu Province establish a new paradigm for sustainable economic growth and development. “The north-western reaches of China have been earmarked as a high-priority region for circular economic growth,” explains Zhang. 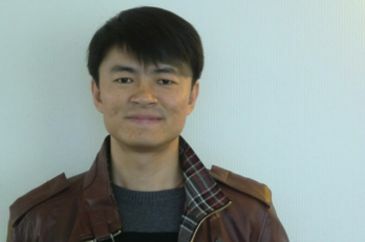 “It’s a resource-rich area with fragile ecosystems, a highly diverse cultural make-up and an underdeveloped economy.” His interdisciplinary research on circular economy implementation has won him not only several academic awards but, as co-author of the Master Plan for Developing Circular Economy in Gansu Province, made him the go-to man for transforming the conventional linear economy into an efficient, “closed loop” system where resources are reused and recycled to sustain growth. 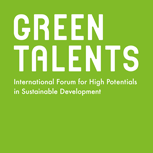 Zhang impressed the jury with his innovative, solution-oriented research into the relationship between economic and environmental systems in circular economic development in China.